2/12/2009 · It's simple: block only work in the aspx page itself, not in external files. What you can do is declare a variable in the aspx file and set it to the value in your code behind, then use that variable in your external JS file. 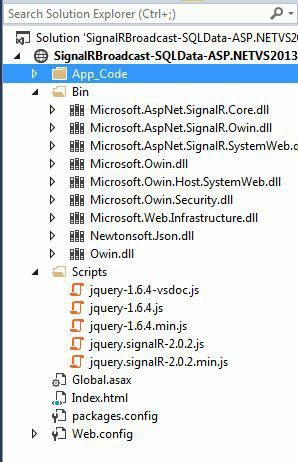 To call client methods from a different class than your Hub class, get a reference to the SignalR context object for the Hub and use that to call methods on the client or manage groups.